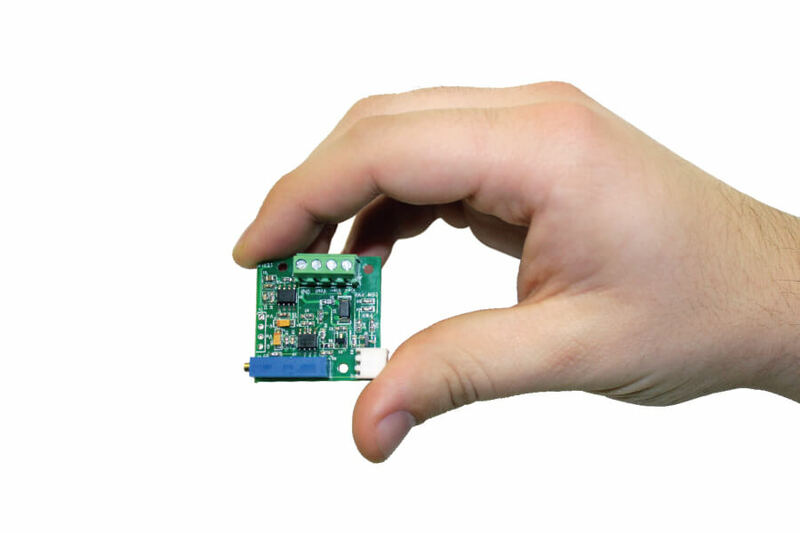 The FlexiForce Quickstart Board is a finished single voltage source circuit which can be quickly dropped into a prototype or easily designed into a product to obtain force measurements. 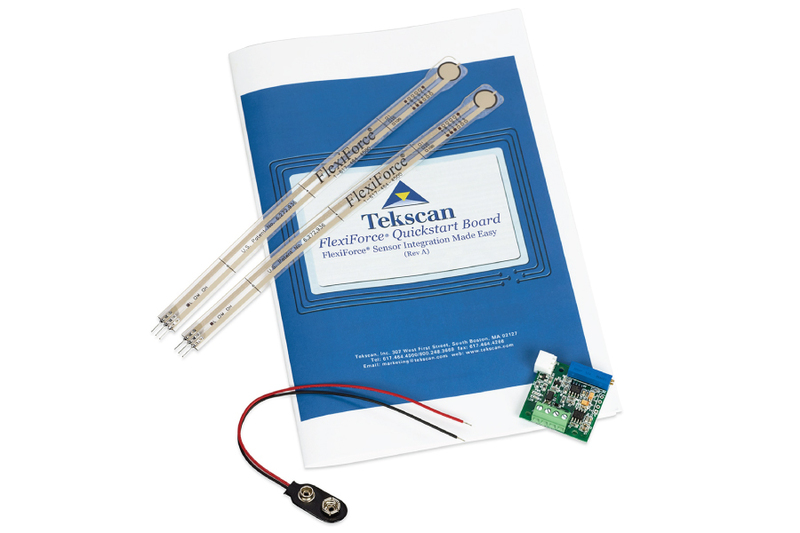 *While the Quickstart Board includes two FlexiForce A201 sensors, it can be used to test any other standard FlexiForce sensor, sold separately. Standard sensors are available in a variety of lengths and force ranges, and can also be customized to fit your product's needs. Note, if used with the HT201 or the ESS301 sensors, the electronics should be isolated from harsh environments. 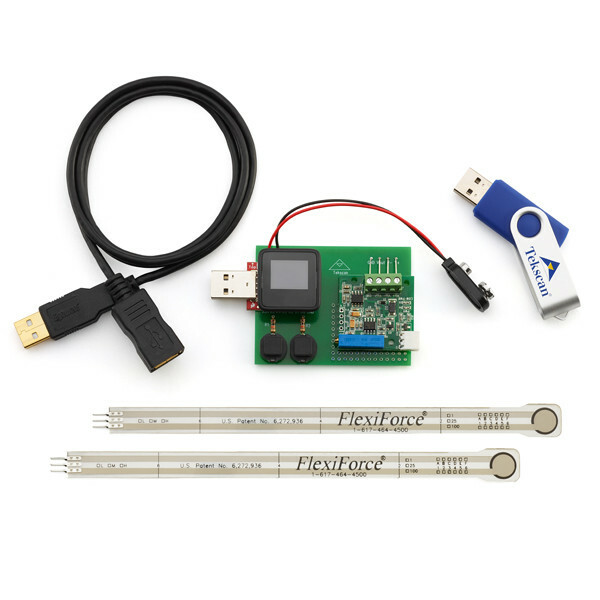 Do You Have Questions About the FlexiForce Quickstart Kit? Most popular standard sensor that meets the requirements of most customers. 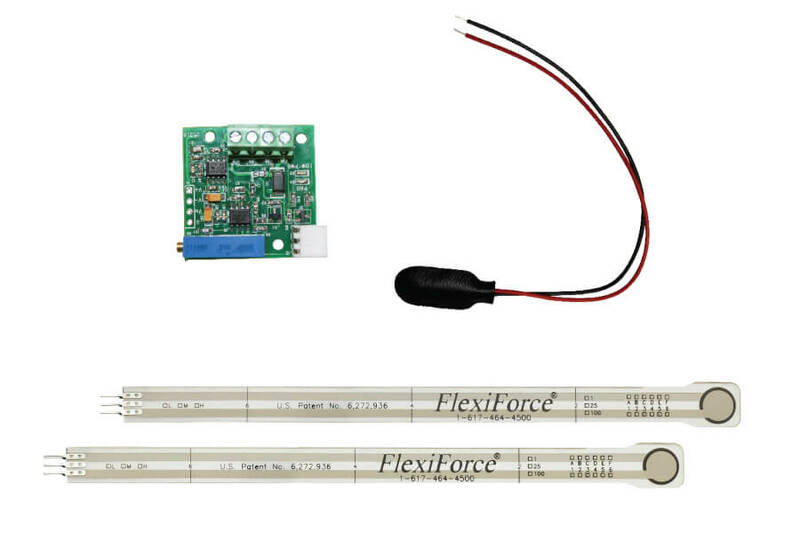 The FlexiForce OEM Development Kit allows design engineers to economically obtain proof-of-concept data while determining how FlexiForce force sensors will behave within their product or application environment.